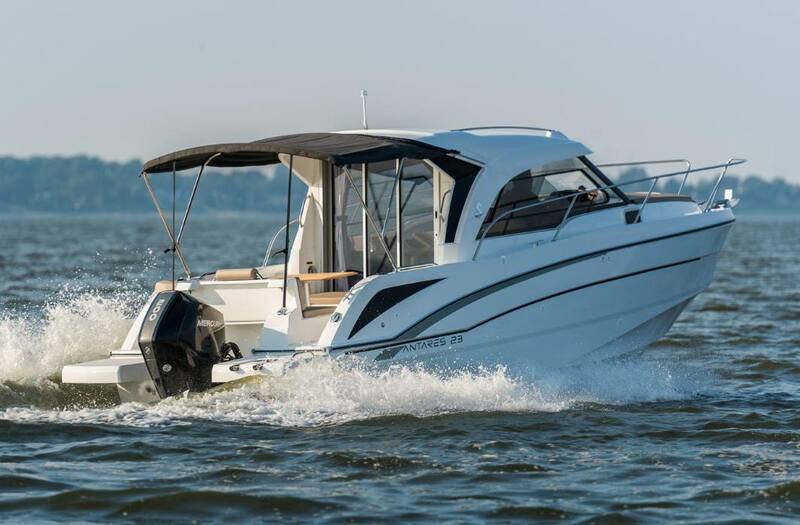 Exterior Design: The Antares 23 has a new flared-out hull that delivers wonderful driving sensations, while boasting excellent seakeeping. 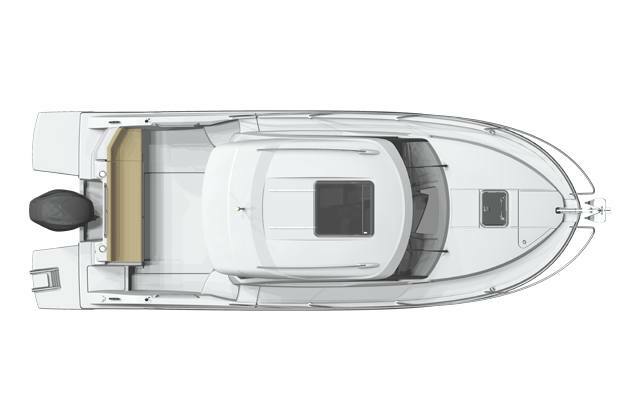 The dynamic V design of the cap clearly announces the boat’s stunning aesthetic design. 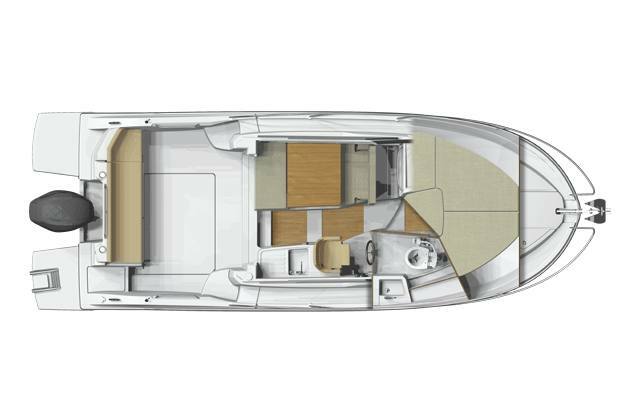 Its clever deck plan offers three different possible cockpit seat layouts. 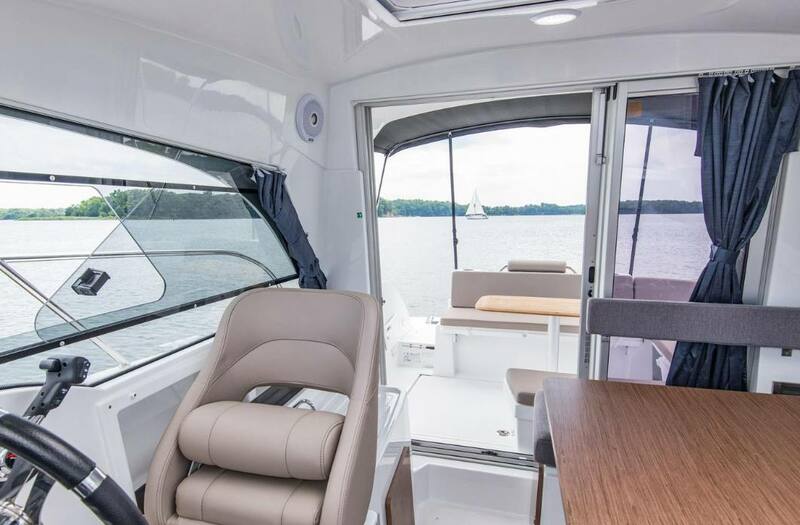 Interior Design: Unique on a boat this size, the Antares 23’s habitability sets it apart from other motor cruisers in this category. 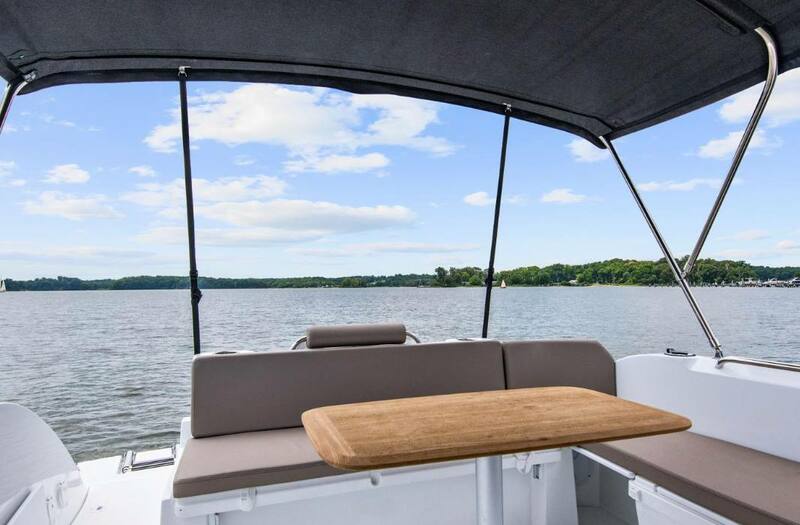 The wheelhouse is accessed by a large sliding glass door, sheltering a well-equipped modular living space. 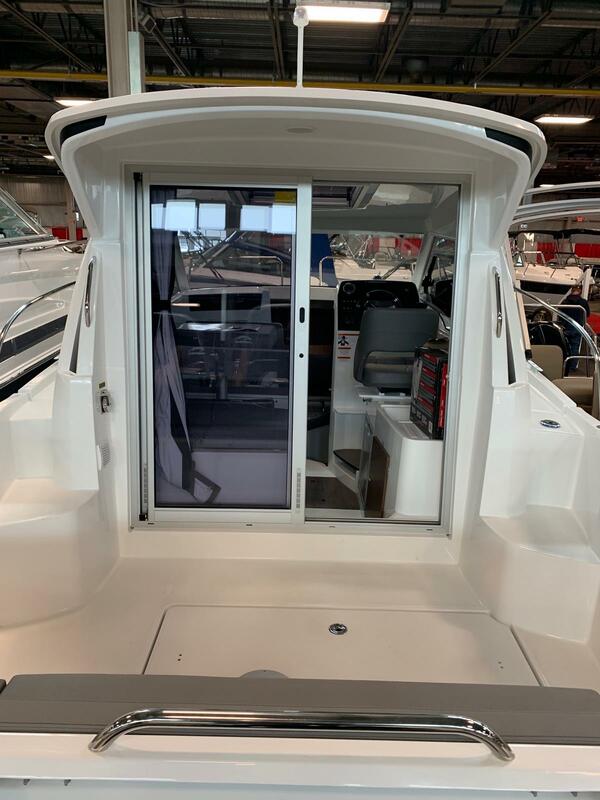 There is a real double cabin below the wheelhouse at the bow of the boat, with storage and a shower en suite, so you can stay on board for a few days. 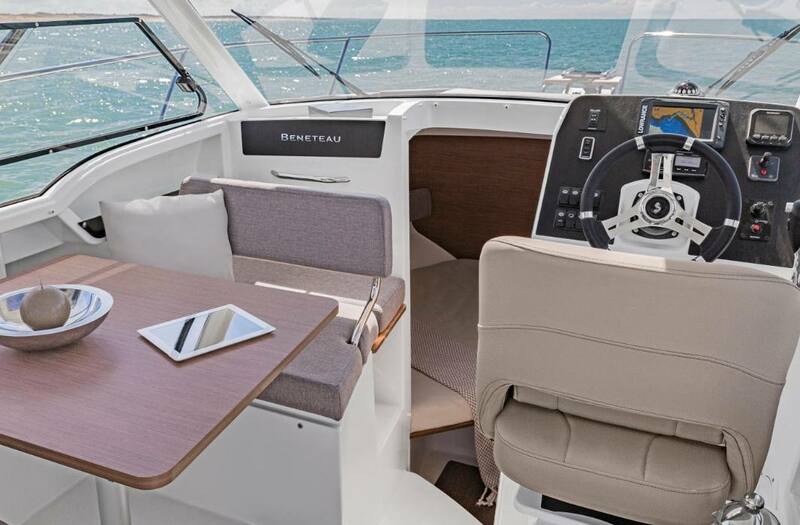 With walnut stained woodwork, the boat offers a very contemporary atmosphere. 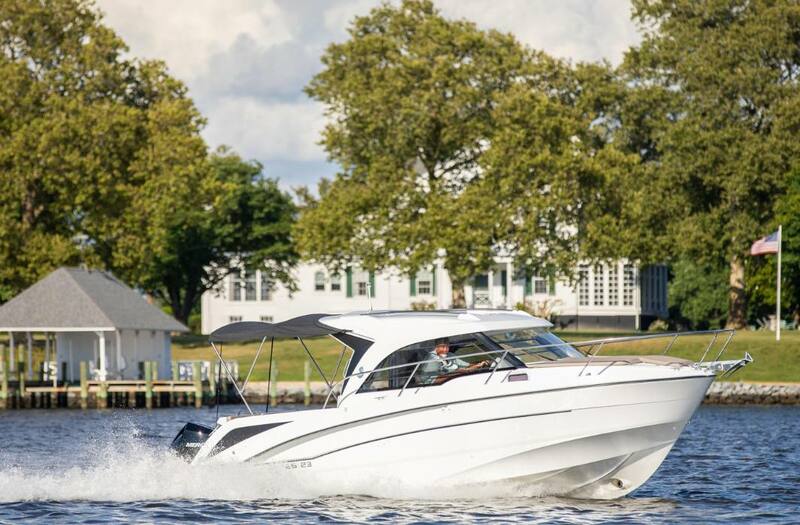 Lots to Offer for Her Size: Designed to make living on board a real pleasure, the Antares 23’s exterior and interior fittings make coastal cruising feel like a long-distance cruise. 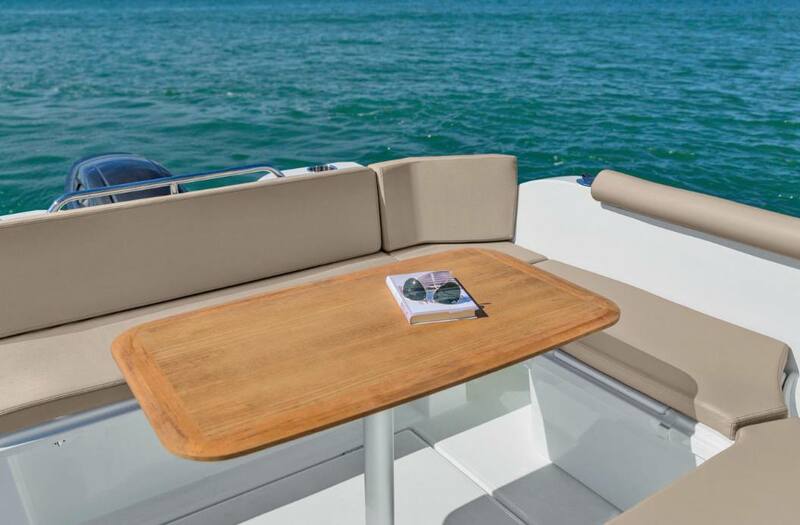 Wheelhouse Bench: Cleverly rotating, the large port bench in the helm station offers different positions to the passengers: facing the sea or facing the saloon table. At night time, it can be lowered to convert into an extra-large double berth. 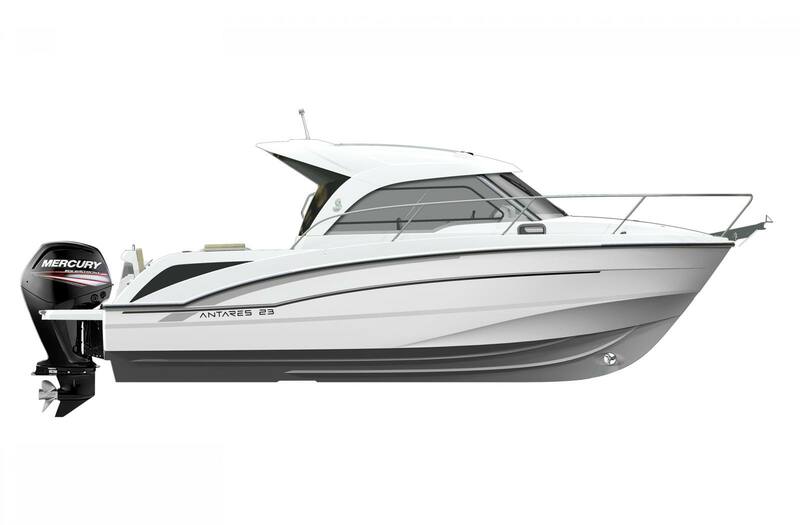 Power: The Antares 23 is fitted with a Mercury engine and enjoys a propulsion power of up to 200 hp. Areal Cabin: The cabin is positioned at the bow and has a real bed, as well as a separate shower and heads. The hanging locker and the many storage places are very cleverly designed. Length Over All: 27 ft. 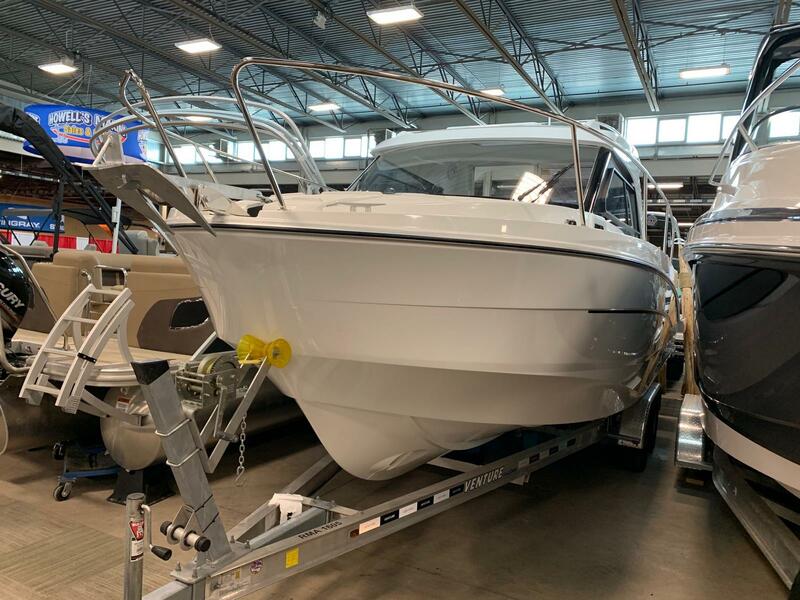 Hull Length: 22 ft. 1 in. 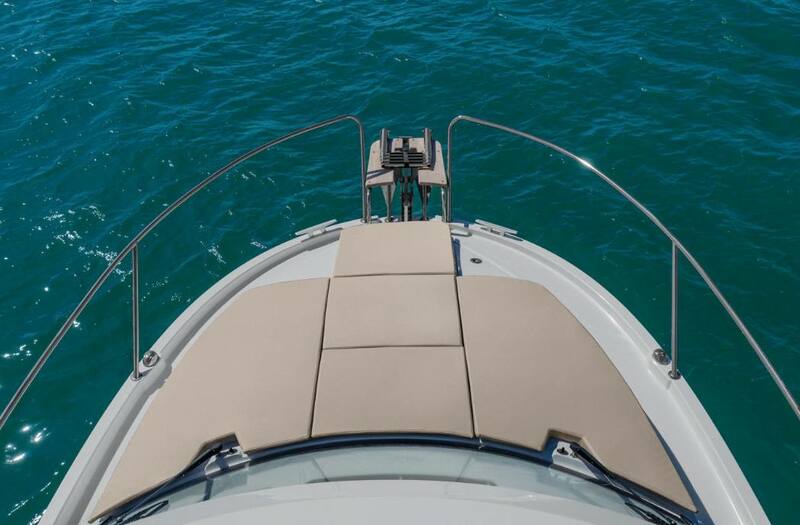 Hull Beam: 9 ft. 1 in. Fuel Tank Capacity: 74 US gal. Fresh Water Capacity: 26 US gal.